What happens when you mix the first-string melting properties and earthy mushroom notes of Reny Picot Fontina with a host of fresh Italian flavors and ingredients? A crowd. 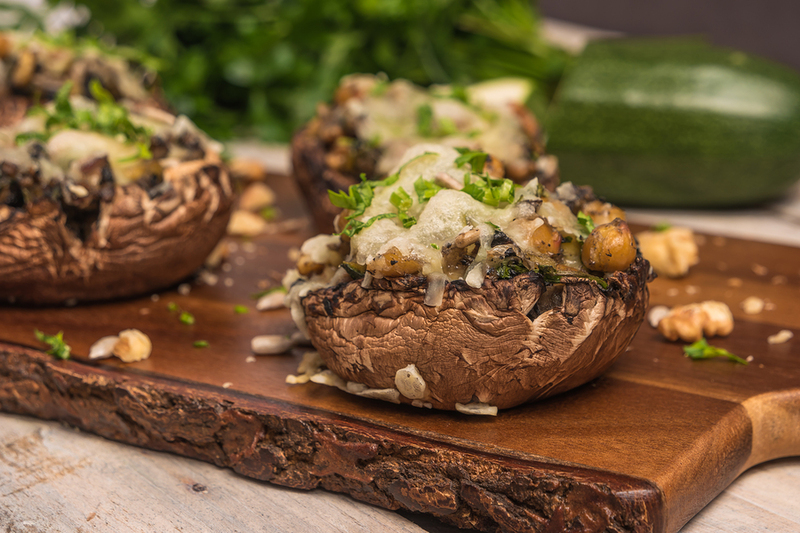 A word of advice: spread these Italian stuffed mushrooms out around the room to avoid a bottleneck (that’s if they make it out of the kitchen). Preheat oven to 350°F and oil a 15×10-inch glass baking dish. Add chopped mushroom stems, fennel bulb, sun-dried tomatoes, and garlic. Sauté until stems and fennel are tender and beginning to brown, about 10 minutes. Transfer mixture to medium bowl and let cool 5-10 minutes. Add Fontina and basil. Season filling with salt and pepper to taste. Arrange mushroom caps in prepared baking dish. Mound filling in mushroom cavities, pressing to adhere. Bake about 25 minutes or until mushrooms are tender and filling is heated through.